3/24 – Annual Parish Lenten Fish Fry! Scheduled on Friday, March 24th, 2017 from 5:00 pm to 8:00 pm. The date is set by Monsignor Carr as the culminating evening of the Lenten Retreat Week. Please Save the Date and place this on your calendar. We need all our brothers to volunteer at this event to be successful. We’ll have a great time with our fellow parishioners, and we’ll raise good $$ for the KofC scholarships for St. Bridget youth going on to Catholic High School! Came across this website. I found it interesting. The blog has questions and answers on suggested approaches when in conversation with people who don’t share our views on abortion and what may be effective in starting to change hearts. Thank you so much for all the work you put into this blood drive. We had a good turnout of 17 and collected 17 units! This is a big help heading into Thanksgiving week. Happy Thanksgiving!! The passing of Bill Murphy caught me by surprise. So sad to learn of it. I thought some of you may not have heard and wanted to pass Bill’s obituary on. His funeral is on Friday at St. Bridget at 10:00 am. MURPHY, William Patrick, 56, of Richmond, entered his eternal rest on November 11, 2016. He was born in Lynchburg on December 26, 1959. He was preceded in death by sister, Mary Patricia Murphy. He is survived by his parents, William Thomas Murphy and Marie Kenefick Murphy of Lynchburg; sister, Diane Murphy of Louisburg, N.C.; brother, Thomas Murphy of Virginia Beach; sister, Karen Murphy of Glenwood Springs, Colo.; brother, Kevin Murphy and sister-in-law, Susan Murphy of Newport News; their children and grandchildren; and dear friend, Karen Wood of Lynchburg. Bill graduated from Brookville High School in 1978. He earned an Associate’s degree from Central Virginia Community College. He earned a B.S. and an M.B.A. from Mt. Saint Mary’s College, Emmitsburg, Md. He obtained licensure as a Certified Public Accountant and worked for both state and federal government agencies. He served in active duty and the reserves for twenty-four years. He achieved the rank of Chief Petty Officer in the U.S. Navy and served in Bahrain in 2003 as a part of Operation Iraqi Freedom. Bill was a member of many religious and civic organizations throughout his life. He served as an usher at St. Bridget’s Catholic Church in Richmond. 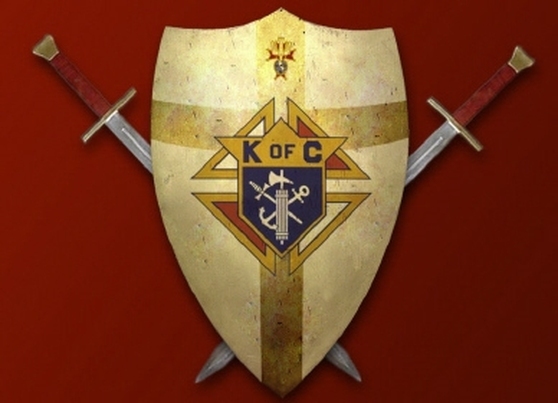 He was a member of the Knights of Columbus and the Ancient Order of the Hibernians. He had been involved with the Boys Scouts most of his life and had served as a Scout Leader. Bill was known for his friendships, his willingness to tell and listen to a story, and his love of his younger relatives and animals. He had been a competitive runner for many years and enjoyed the camaraderie of his high school and college teammates. He enjoyed the outdoors, most recently by hiking with Karen and walking his dog, Goggles. He didn’t miss a chance to attend a social gathering. He fulfilled a life-long dream in 2012 by taking a long trip to Ireland. A Mass of Christian Burial will be held 10 a.m. on Friday, November 18, at St. Bridget Catholic Church, 6006 Three Chopt Road. The burial will follow at Hollywood Cemetery in Richmond. In lieu of flowers, the family asks that contributions may be made to a charity of one’s choosing in memory of Bill. 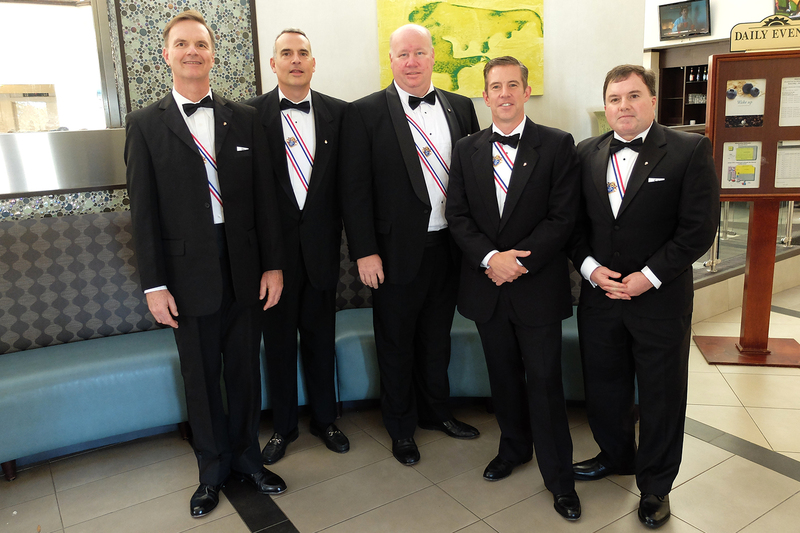 Our new Sir Knights were among 173 Virginia 3rd Degree Knights that advanced to the Patriot Degree into Full Knighthood. Accolades to our District Deputy Tom Suik who also advanced to the Fourth Degree! that this Patriot degree of our Order strengthens our fraternal causes dedicated to our love of Country, love of Church and love of Family. Please extend your congratulations to these most Worthy Sir Knights!